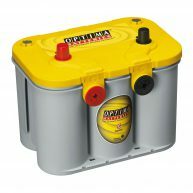 Need help selecting your battery? 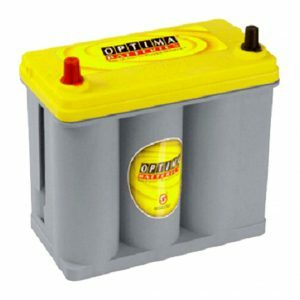 Please contact us for battery verification. OPTIMA® YELLOWTOP® DS46B24R offers a direct fit replacement for the 2004 and newer Toyota Prius.® This 12-volt AGM battery is the first OPTIMA® product to provide a direct fit replacement for the Toyota Prius. It integrates with the current Toyota OE vent system and does not require special installation. Besides being a direct fit replacement for the Toyota Prius, the new battery features deep-cycle dependability, over 15 times more vibration resistance compared to traditional batteries, and a long shelf life thanks to the low self-discharge rate. 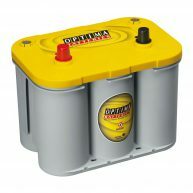 These batteries are designed for starting and deep cycle applications and for use in vehicles with large accessory loads. Rapid Recharge (Constant voltage charger): Maximum voltage 15.6 volts. No current limit as long as battery temperature remains below 125°F (51.7°C). Charge until current drops below 1 amp. 14.7 volts. No current limit as long as battery temperature remains below 125°F (51.7°C). When current falls below 1 amp, finish with 2 amp constant current for 1 hour.